You might feel a little intimidated by how much there is to see along the Historic Columbia River Highway. But don’t worry, we’re here to help. See jaw-dropping waterfalls, find the best viewpoints and trails, learn about the region and take too many pictures. 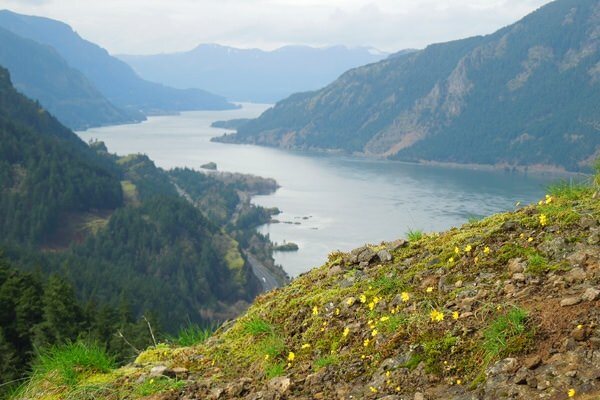 Now you can reap the rewards of your exploration with Historic Highway Bingo, a limited-time game hosted by the Friends of the Columbia Gorge in honor of the route’s centennial celebration. Each Bingo card corresponds to a section of the 73-mile Historic Columbia River Highway, with special prizes offered to finishers and the best photo-takers and hashtaggers (#gorgebingo). Grab a bingo card, some friends and a sense of adventure. The Gorge is calling. Note: Due to the popularity of the historic highway, we recommend visiting the Gorge early or late in the day or traveling from east to west. For the best experience, follow these tips for touring the Gorge. 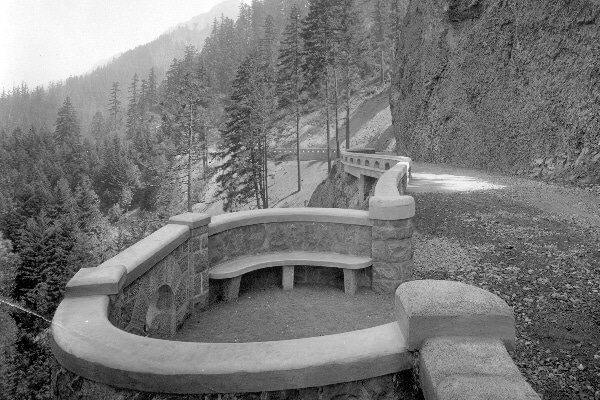 Take a trip back in time and experience the Columbia River Gorge as it was a century ago. Thanks to community restoration work, previously abandoned sections of the historic highway are returning to their early glory days. We recommend bringing some hiking shoes and a bike to take full advantage of this adventurous, often car-free segment. Begin your next bingo hunt at the John B. Yeon Trailhead (O4), named after the highway’s main financier. A handful of hiking trails begin here, including a 6-mile section of the Historic Highway State Trail — which is closed to motorized vehicles. On the way, drink up the view from the McCord Creek Bridge (B1), which was rebuilt four years ago from a no-frills look to a classic Art Deco design. Another two miles leads you to the Moffett Creek Bridge (N4). At the time of its construction in 1915, the Moffett Creek Bridge was the longest three-hinge concrete flat arch bridge in the U.S.
You might be tempted to linger on this serene section of the historic highway. That is, until you realize that waiting in Cascade Locks is the Bonneville Dam fish hatchery, where the famous Herman the Sturgeon (I5) lives. Herman is a 70-year-old, 10-foot long, 450-pound sturgeon who you can see up close in the hatchery’s viewing room. Next is Toothrock Viaduct (N2), where highway engineers had to build a road around a large rock formation. Today, it’s only accessible by foot or bike, making it an extra special destination with an exclusive view of the Gorge. 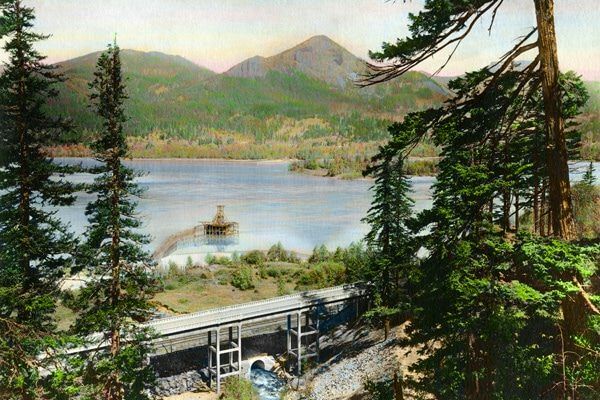 The 1.4-mile section from Toothrock to Eagle Creek was abandoned for decades after the unveiling of Interstate 84, but later reopened as part of the State Trail. On this stretch, find the Eagle Creek Staircase (G1) — cyclists will appreciate its guideway for bikes — and the Eagle’s Nest (O2) alcove for great picture-taking. 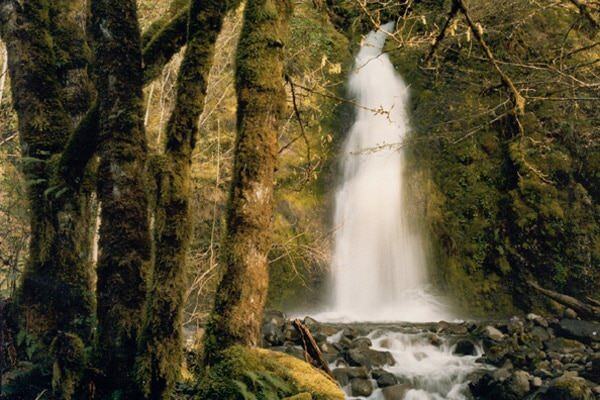 In the Eagle Creek Recreation Area, discover one of the region’s lesser-known waterfalls, Ruckel Creek Falls (N1). Get there via the Cascade Hatchery exit near the Eagle Creek campground. On the way, admire the 103-foot-long Eagle Creek Bridge (G5). 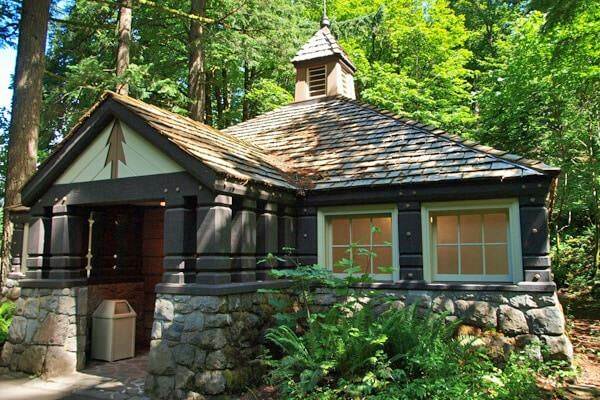 Fun fact: Developed in 1916, Eagle Creek is considered the first U.S. Forest Service campground (O5) and features the the first flush toilet at a USFS campground, known as “Big John” (G3). You can’t miss the Bridge of the Gods (B3). 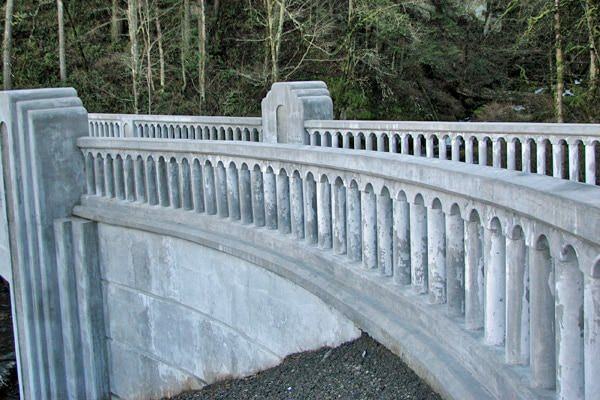 Built in 1926, this stunning bridge honors a former natural dam of the same name that was created by the Cascades Landslide Complex hundreds of years ago. The region’s indigenous people believed the natural dam collapsed when two young chiefs fought over a maiden. Today, the man-made bridge is a marker for the Pacific Crest Trail. Under the bridge is a beautiful mural in which Bigfoot (G4) is hiding. In Cascade Locks, the historic highway doubles as the main street, Wa Na Pa Street (B2). Here you can refuel with gas, food and lodging. 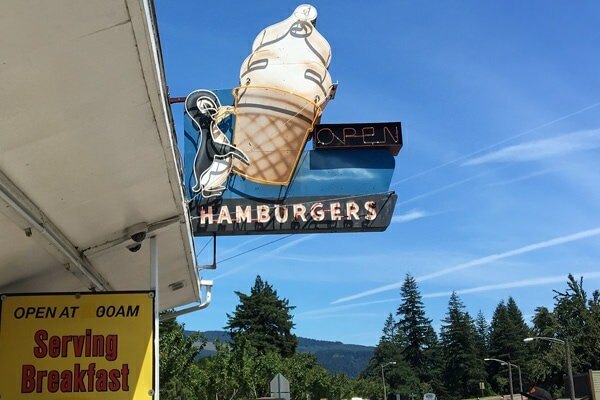 You’ll quickly understand why lines form for East Wind Drive-In burgers and milkshakes and why Thunder Island Brewing is one of the most talked-about taprooms (check out that waterfront patio!). The brewery’s namesake, Thunder Island (O3), was carved in 1890 to make way for locks and a canal. The Locks at Cascade Locks (B5) once helped control the Cascade Rapids, but after the construction of the Bonneville Dam, the locks were no longer necessary. Nowadays the area is utilized for picturesque picnicking and festivals. On the east side of the marine park is the headquarters of the Columbia Gorge Sternwheeler. Take a selfie with the bronze statue of Sacagawea (I2) and share it on social media using the hashtag #gorgebingo. Another hidden-gem waterfall is Lancaster Falls (G2), located along the newest section of the State Trail between Lindsey Creek and Starvation Creek. Named after highway visionary Samuel Lancaster, the falls features three tiers and a new Wonder Creek viewpoint where you can soak in all the beauty. Not far away is Hole-in-the-Wall Falls (I4), which rightfully earned its name in 1939 when engineers blasted a hole in a cliff in order to divert flooding from Warren Creek. Keep your eyes open for the only remaining original Historic Highway milepost. You’ll find the historic milepost (I3) on the new section of the State Trail near Viento State Park. Last stop on this leg is Mitchell Point, where the Tunnel of Many Vistas (B4) once drew tourists from around the world. 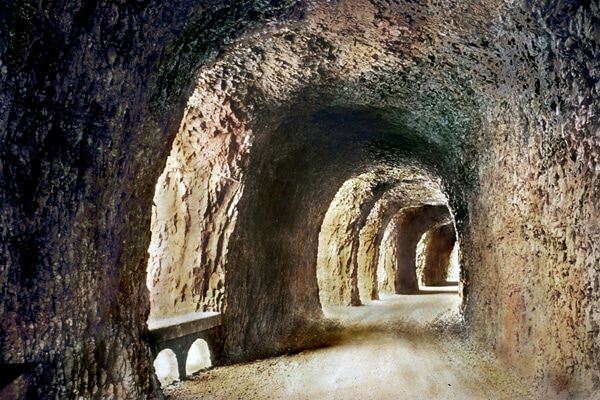 Builders had to break through solid basalt rock to create the unique tunnel and its five scenic windows. 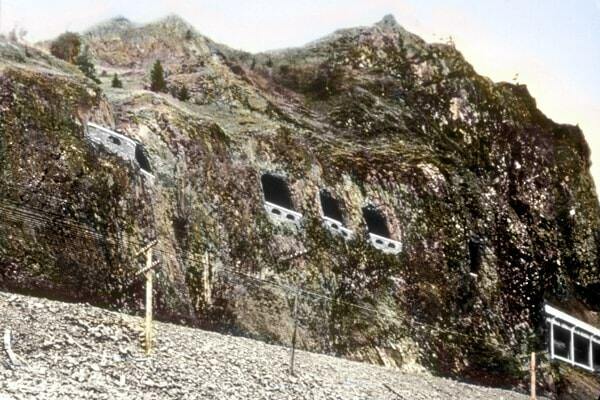 Although the Mitchell Point Tunnel was destroyed in the 1960’s, there are now plans to create a new tunnel in its image. Earn bonus squares for a beauty shot (N3), watercraft on the Columbia River (O1), spawning salmon (I2) and a picnic table (N5). 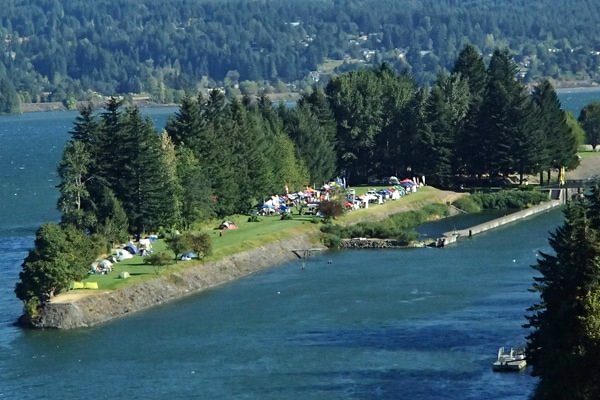 Now you’ve made it to Hood River, the perfect place to grab a craft beer and watch windsurfers. There are plenty of places to spend the night here so you can recharge before the last leg of bingo.